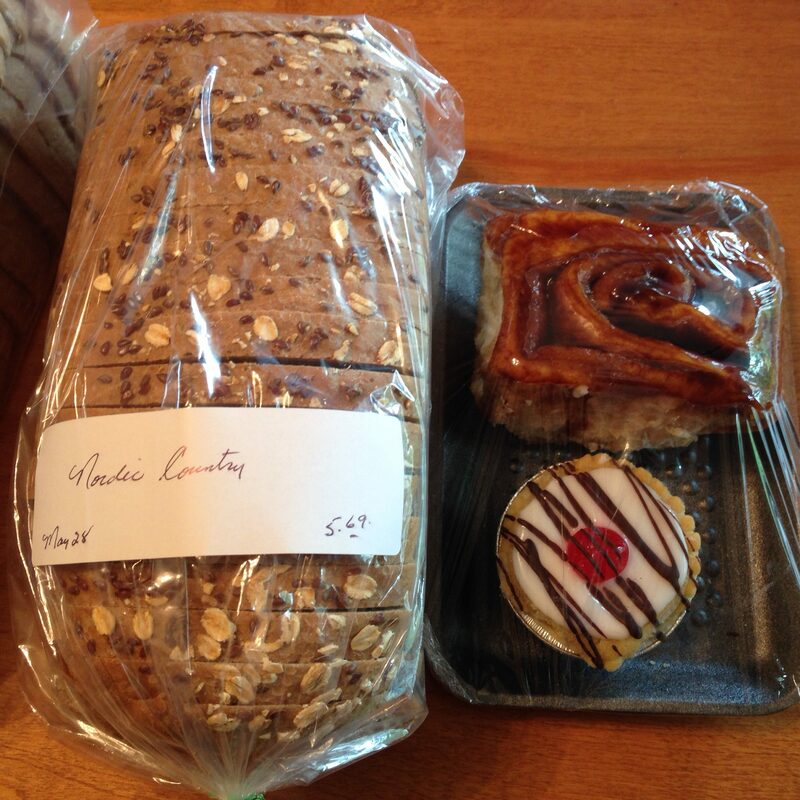 My husband and I stopped at the Black Diamond Bakery on our way through town on Saturday to buy some of their fantastic Nordic Country Bread and couldn’t resist a couple treats for ourselves (hey, packing is hard work)! 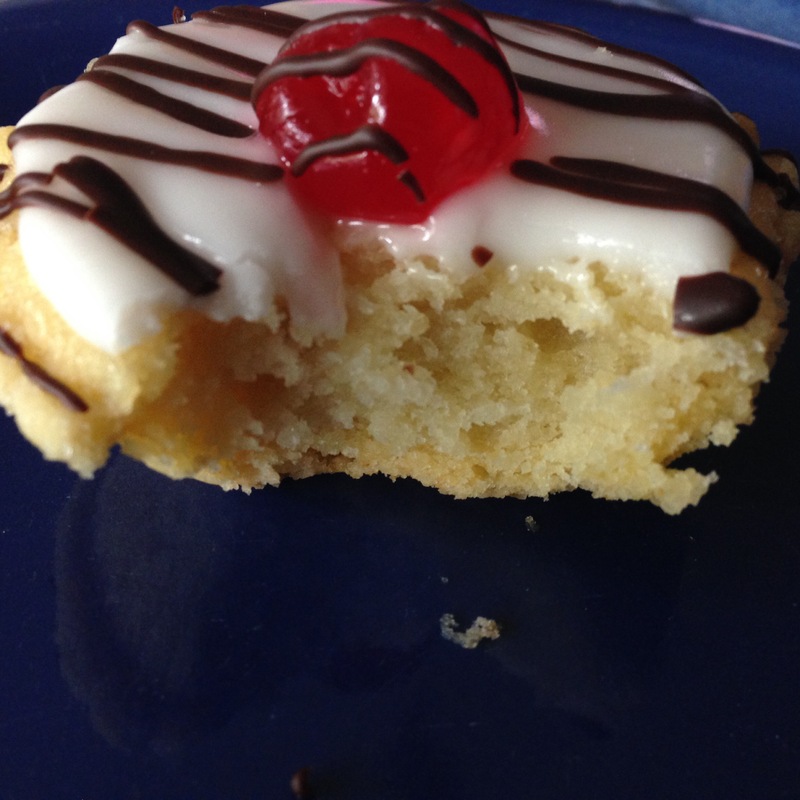 He went for the sticky cinnamon roll, while I am a lover of fresh almond tarts. 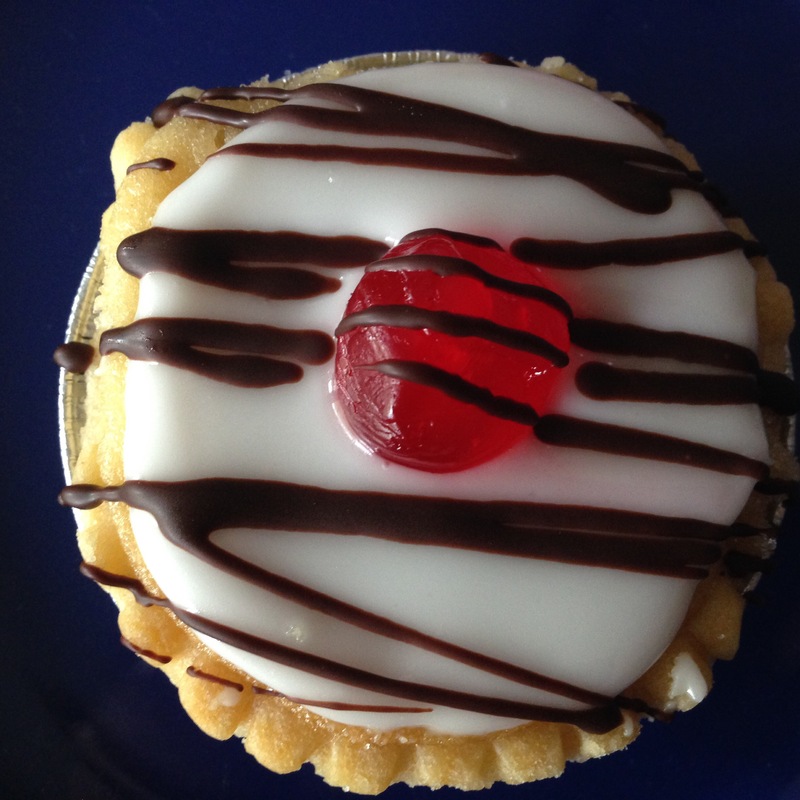 If you are unfamiliar with them, they are little marzipan cakes baked in tart shells, with almond icing, a cherry and chocolate drizzle on top. Delectable and a prize for the eyes as well. Score!